The cast of critically-acclaimed British crime drama Ripper Street, which is produced by Tiger Aspect Productions and Lookout Point and now available exclusively on Amazon Prime Instant Video, were back on set this morning in Manchester to start filming the highly anticipated third series of the hit show. The series is filming in the UK for the first time, first in Manchester, then Loughborough, before moving to its traditional production base in Dublin, Ireland, where previous filming locations have included the former Clancy Barracks beside Clancy Quay and Trinity College. 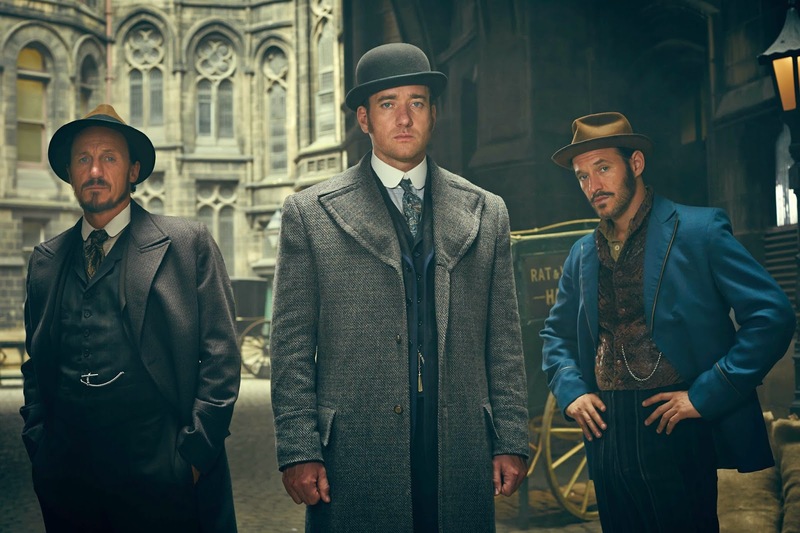 Matthew Macfadyen, Jerome Flynn and Adam Rothenberg are reprising their roles as Victorian crime-fighter Detective Inspector Edmund Reid, Detective Sergeant Bennet Drake and Captain Homer Jackson. The show is welcoming back MyAnna Buring as Long Susan and a whole host of newcomers to the new installment of the popular drama. "I'm delighted and excited to be back for a third series of Ripper," said Matthew MacFadyen, who reprises his role as Edmund Reid. "Thank you to Amazon, thank you to our fans who wanted more, and thank you to our wonderful writers and producers for giving us the most thoroughly brilliant, gripping and heart-rending episodes." Jerome Flynn said, ""I am just thrilled that we are getting the chance to do another season of Ripper, to inhabit that world and the wonderful character that is Bennet Drake...all I can say is that what I've seen of the scripts so far is very exciting...we really hit the ground running dramatically and all our characters are taken on intense journeys. It's going to be quite a ride." The series will continue to be co-produced in the US by BBC America and will screen on BBC1 a few months after it is available on Amazon in the UK. It will be distributed globally by BBC Worldwide. Filming has begun, signalling Amazon's commitment to the production of one of last year's most highly regarded series, in a move that is sure to delight Ripper Street's huge global fan base. "Producing this new series with Amazon and BBC working together is an exciting industry first," said Lookout Point's Simon Vaughan. "We believe that the combined reach and marketing power of these two partners working together will bring the series to a wider audience than ever." Ripper Street Series 3 debuts on Amazon Prime this Autumn with a possible terrestrial outing on BBC ONE later in the year.